Though many of our visitors come for the day, it is clear that for some, a more relaxed rhythm makes it easier to really discover the joys of the place. With this in mind, we are developing holiday accommodation that will enable people to spend a little more time here. Prices from £325 per week, short breaks available. 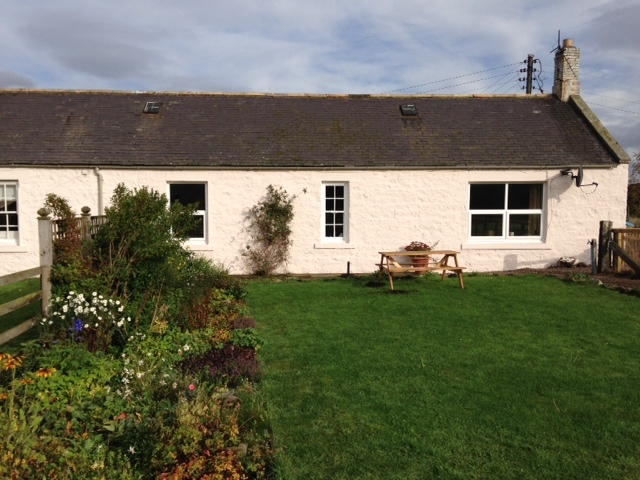 Fernie is situated in the middle of the estate with stunning views of the Cheviot Hills. It is a 6 bedroomed family house which sleeps up to 12 people. It combines the original shepherd’s cottage and converted sheep steading to form an idyllic bolt-hole for families, larger groups and lovers of the great outdoors to get away from it all and explore the magnificent surrounding countryside.. It is surrounded by three separate garden areas leading into each other: a sunny south facing courtyard garden, a walled garden and also a big flat lawn surrounded by paddocks. The living areas are perfect for entertaining, open plan with the original exposed beams.